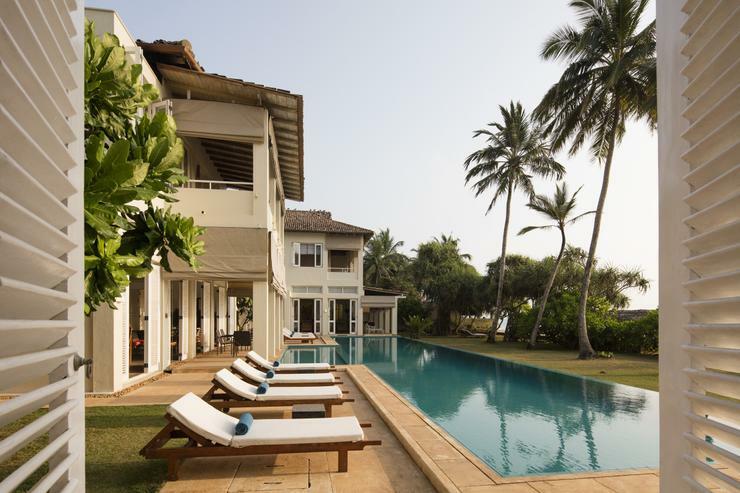 One of the three villas of Sri villas, Nisala villa is located about ten minutes away from Bentota and Kosgoda beaches in the charming town of Induruwa. 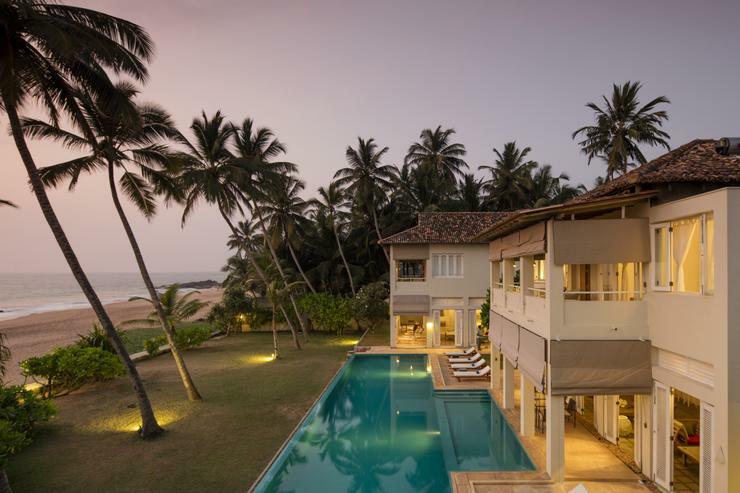 Quaint village home dot the coastline interspersed by hotels and resorts. A stay in the villa gives you access to both seclusion and activities. Outside the villa you can go cruising on the Bentota river, visit the two private gardens of Brief and Lunuganga, or indulge in water sports at Bentota, which enjoys the reputation of being the water sports capital of Sri Lanka. 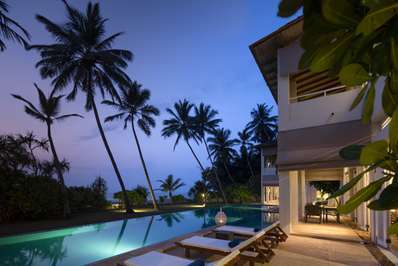 Set in the middle of the two other villas of Sri Villas, Nisala villa overlooks the swimming pool. Encompassing two master suites, a large spacious living area, private dining and outdoor living, the villa is a perfect cozy getaway for small families or couples. The villa features tropical design with tall folding doors, high louvered panels, antique furnishings and all modern comforts. Discrete staff takes care of the daily chores so that guests have a relaxed, worry-free holiday experience. 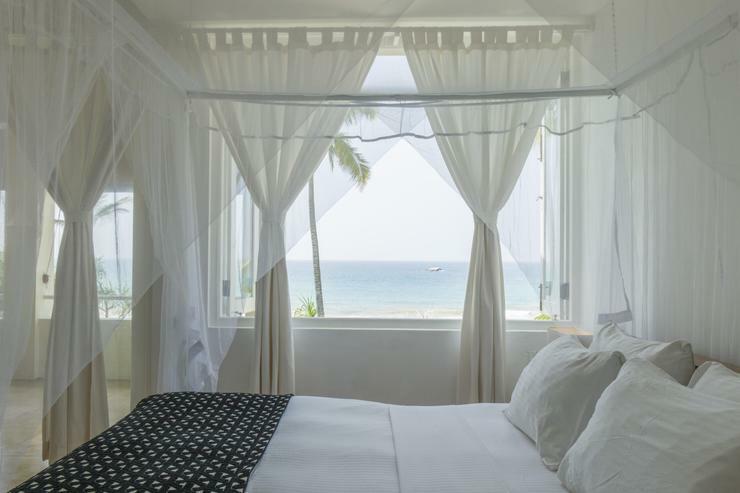 The two ocean suites of villa Nisala are located on the first floor and are fitted with king-size beds with mosquito nets. 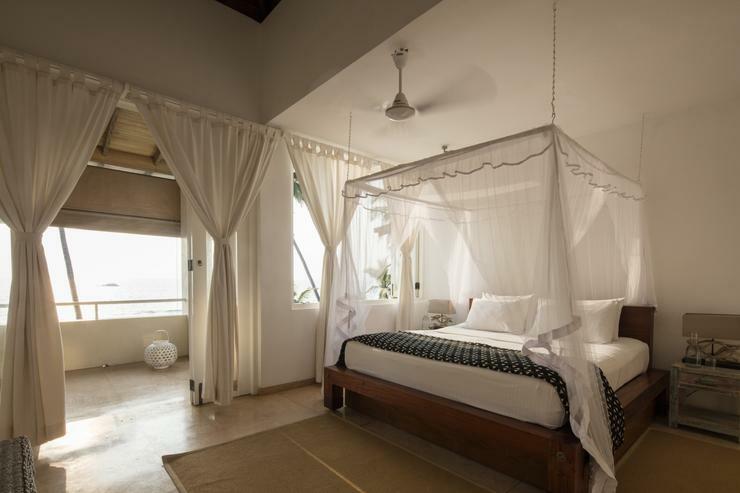 Each bedroom has glass doors opening onto a balcony that overlooks the ocean and tropical views. 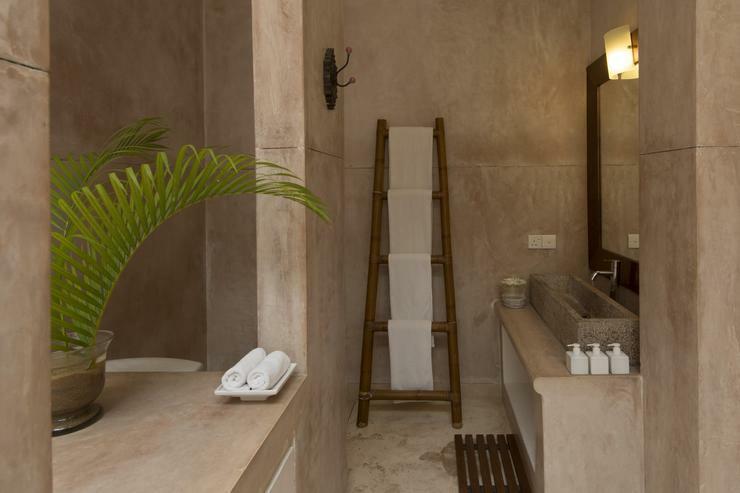 Both master suites are air-conditioned and have en-suite bathrooms with all essential toiletries. The bedroom décor and furnishings are mostly in white, adding to the cool, breezy ambience. 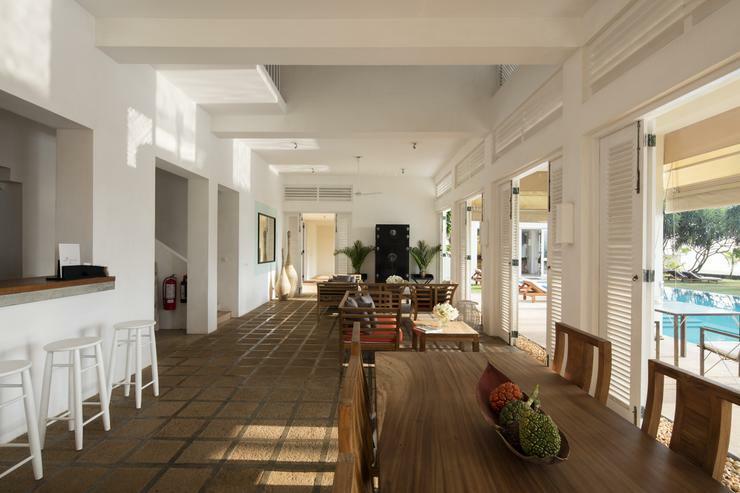 The living area of Nisala villa includes open-plan sitting room furnished with lounge seating and overlooking the ocean. The villa chef prepares a daily selection of specials for guests in the fully equipped kitchen. On request, a table may also be set up outside the villa living space, and even on the beach for an intimate, private dinner. 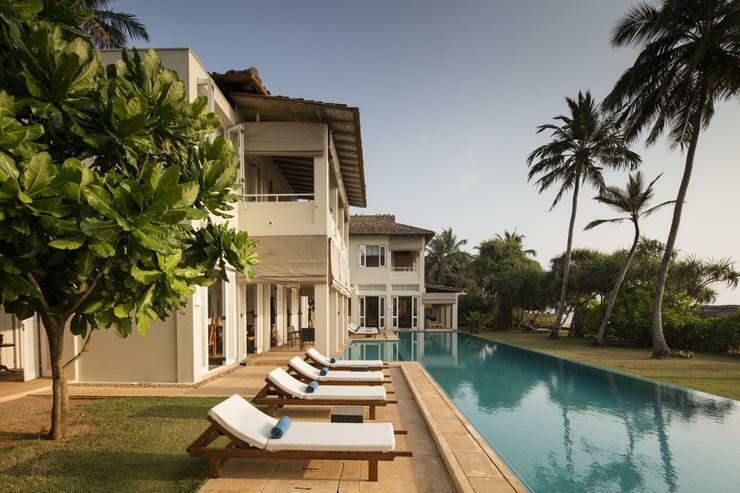 The living room opens onto a veranda fitted with comfy chairs and extends into the garden with the pool, and then the beach beyond. 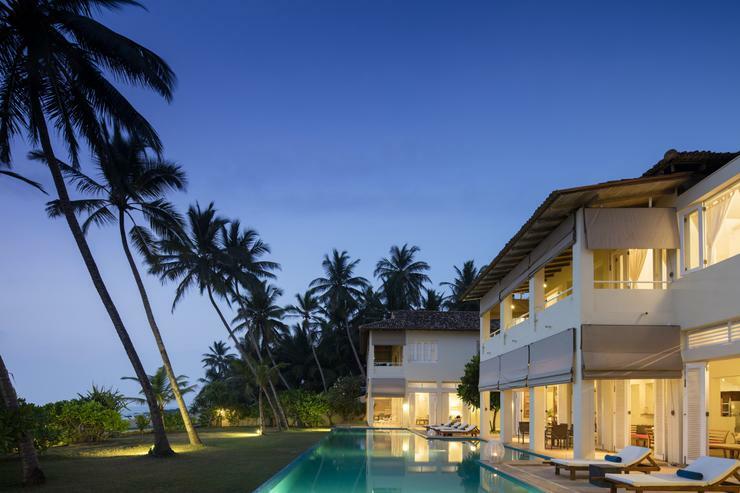 Located in Bentota, Colombo and South West. 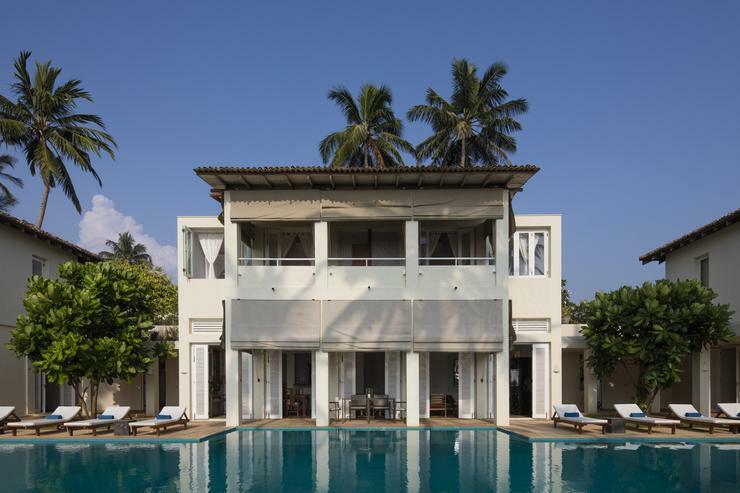 Sri Villas is a in Sri Lanka. 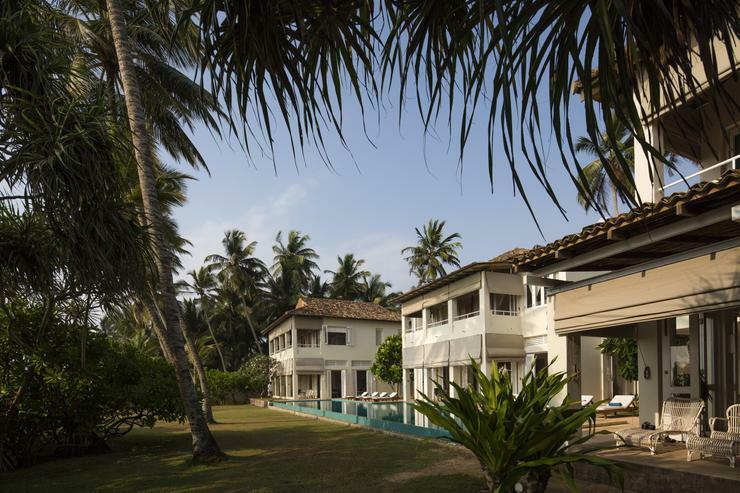 Located in Bentota, Colombo and South West. Sagara is a in Sri Lanka. 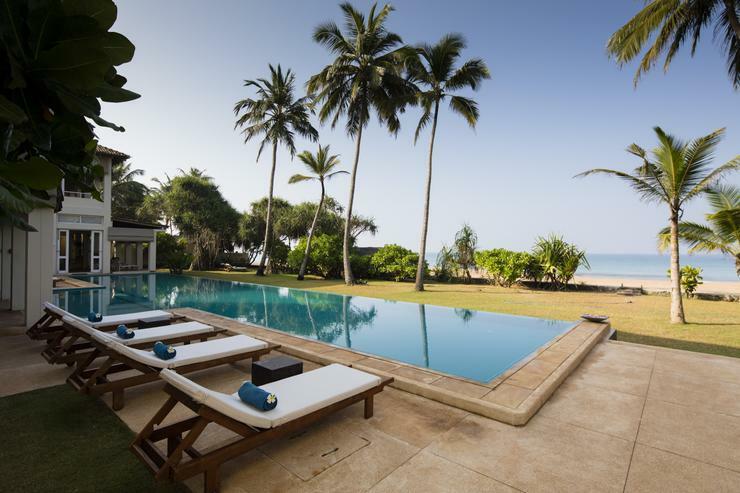 Located in Bentota, Colombo and South West. Araliya is a in Sri Lanka.